It’s about time that Daniel Lopatin made a film soundtrack. His music as Oneohtrix Point Never has always leaned heavily on mental visualizations, especially the three-hour Rifts, which featured evocatively titled tracks like “Behind the Bank” and “Format & Journey North,” giving hints to the movies in Lopatin’s mind. With Good Time, these visuals turn into a reality, and Lopatin finds himself at home working with film. The soundtrack boasts some of Lopatin’s heaviest work to date, perfectly mirroring the neon-colored, high-speed heist plot of the film. As such, Lopatin turns the drama up to full blast. 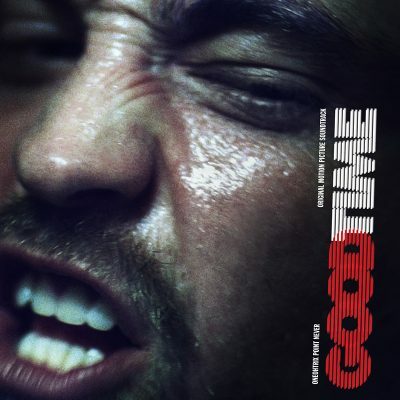 While much of his past music has been ambient-leaning and sleek, Good Time is about dissonance and distortion. Many tracks employ sweeping guitar solos and crashing drums, calling on a bit of a 90’s action soundtrack-shtick. As always, Lopatin’s ability to take clichés and morph them into something gruesome keeps him from falling prey to simple nostalgia. The opener and quasi-overture “Good Time” is a multi-faceted track that shows all of these strengths: seamless, hi-fi production that melts into itself, ingenious transitions and an unmatched understanding of timbre. What ends up burning Lopatin the most, however, is the problems with the medium itself. Soundtracks inevitably come riddled with problems, the main one being that they are intended primarily as mood-setting background music. Even the best of them can wind up falling into mundanity during narrative-driven moments. It’s easy to rely on dissonant strings to convey fear or a booming drum to create energy rather than allow music and visual imagery to mesh jointly. In this respect, Lopatin (and also the Safdie Brothers, directors Good Time) does better than most. There are some moments where film music is looked at self-consciously, blending the line between sound effects and music. “Ray Wakes Up” stands among these, sidestepping the normal synth arpeggios and guitar leads for a more collage-based approach. News broadcasts and conversations bump up against low drones and other non-harmonic sounds throughout, creating an atmosphere that demands attention rather than complementing an already existing visual one. This track, however, is an outlier. It’s commendable that Lopatin stuck to a distinct style for the soundtrack with the tense, driving music, but sometimes this results in blandness. Synth arpeggios and soaring, wandering leads pop up on nearly every track, to the point that it seems like he’s using these as a signpost for an emotion or a motif for the film, which, absent from any sort of visual, loses most of its context. This happens especially on the shorter tracks, where it feels like Lopatin was just filling time rather than extending an idea. The only track that really breaks the mold is the closer and collaboration with Iggy Pop, “The Pure and the Damned.” A simple piano ballad, the track offers a surreal meditation on the difference (or lack there of) between good and evil. While it sounds nothing like the rest of the record, it feels like a proper summation of what Lopatin was trying to accomplish.